Original article published on Northwestern Engineering News. Written by Amanda Morris. 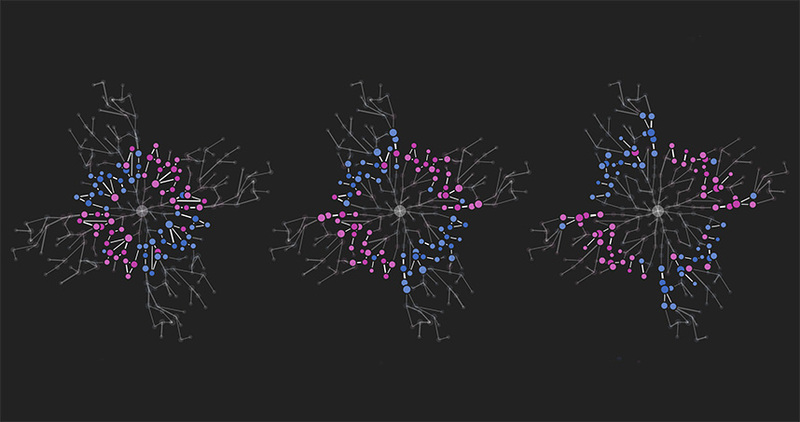 To better understand the mysterious interactions that occur inside cells, Bagheri and her team have designed a new machine learning algorithm that can help connect the dots among the genes’ interactions inside cellular networks. Called “Sliding Window Inference for Network Generation,” or SWING, the algorithm uses time-series data to reveal the underlying structure of cellular networks. Bagheri is a assistant professor of chemical and biological engineering, member of the Chemistry of Life Processes Institute, the Center for Synthetic Biology, and the Robert H. Lurie Comprehensive Cancer Center. Supported by the National Science Foundation, National Institutes of Health, and Northwestern’s Biotechnology Training Program, the research was published online today in the Proceedings of the National Academy of Sciences. Justin Finkle and Jia Wu, graduate students in Bagheri’s laboratory, served as co-first authors of the paper. In biological experiments, researchers often perturb a subject by altering its function and then measure the subject’s response. For example, researchers might apply a drug that targets a gene’s expression level and then observe how the gene and downstream components react. But it is difficult for those researchers to know whether the change in genetic landscape was a direct effect of the drug or the effect of other activities taking place inside the cell. After designing the algorithm, Bagheri’s team validated it in the laboratory in both computer simulations and in vitro in E. coli and S. cerevisiae models. The algorithm is open source and now available online. And although it was initially designed to probe the interior, mysterious life of cells, the algorithm can be applied to many subjects that display activity over time.